Will Italy's new government blow up its budget? No. And could it leave the euro? No. 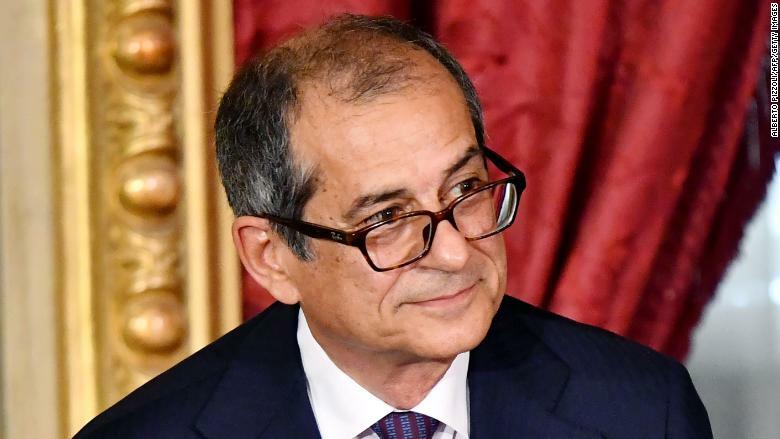 That's according to Italy's new economy minister, Giovanni Tria, who outlined plans for the economy and government spending that were being cheered by investors on Monday. Markets panicked late last month, sending Italian shares and bond prices plunging, at the prospect of a new populist government running up big debts and clashing with the eurozone's budgetary rules. There was even talk that Italy could exit the euro currency. Tria told the Italian newspaper Corriere della Sera that there was "no discussion about leaving the euro" among the new government. He also said he would focus on cutting debt levels. The Italian government confirmed the accuracy of the quotes to CNNMoney. 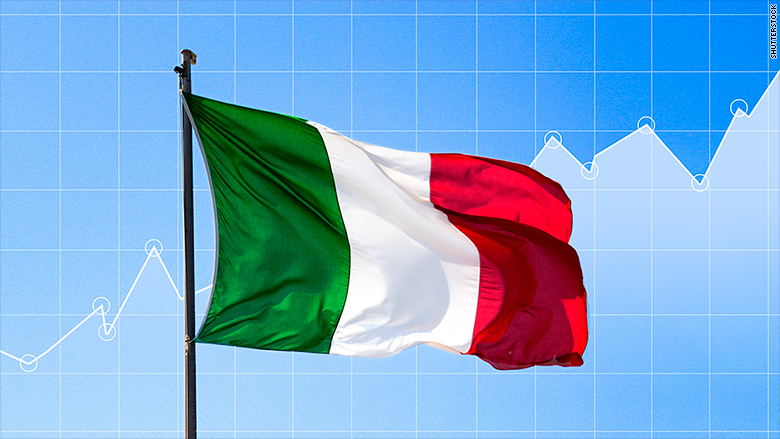 The euro strengthened in reaction to the comments on Monday and Italy's benchmark stock index shot up by as much as 2.5%, with banks leading the way. Shares in UniCredit (UNCRY) and Intesa Sanpaolo (ISNPY) surged 5%, while Banco BPM and UBI Banca were up 3%. Yields on Italian government bonds also dropped as investors showed more confidence that the country will be able to manage its heavy debt load. Two major populist parties, the Five Star Movement and the far-right League, emerged from months of political turmoil to form a government in early June. The parties had already dropped some of their most explosive campaign pledges, such as calling for a referendum on whether Italy should abandon the euro, or leave the European Union. But investors were still worried about planned tax cuts and a spending binge. "Investors will be pleased to see signs of a conciliatory approach," said Chris Beauchamp, chief market analyst at IG. Italy's economy minister Giovanni Tria was an economics professor at the University of Rome. Years of stagnation and a lack of reform have pushed Italy's government debt above €2 trillion euros ($2.3 trillion), equivalent to more than 130% of annual economic output. But Tria said the new government would keep spending under control. "The budget will be fully consistent with the goal of continuing on the road of reducing the debt to GDP ratio," he told Corriere della Sera. "The goal is growth and employment. But we are not aiming to relaunch growth through deficit spending." Investor sentiment was buoyed by a newspaper interview with Giovanni Tria. Analysts had also been concerned by campaign pledges to roll back pension reforms. But Tria said in the interview published Sunday that his government would continue to study the issue. "I think our pension legislation can be improved, but it will be done with attention to sustainability," he said. "We will study improvements, knowing that we can't improvise on these matters." Tria said the government would work with its European counterparts on programs that would benefit both Italy and its neighbors. "The goal is to enforce the national interest that coincides with Europe's general interest," he said. "I don't think the dialogue is impossible. It's all about restoring mutual trust." -- Valentina DiDonato contributed reporting.